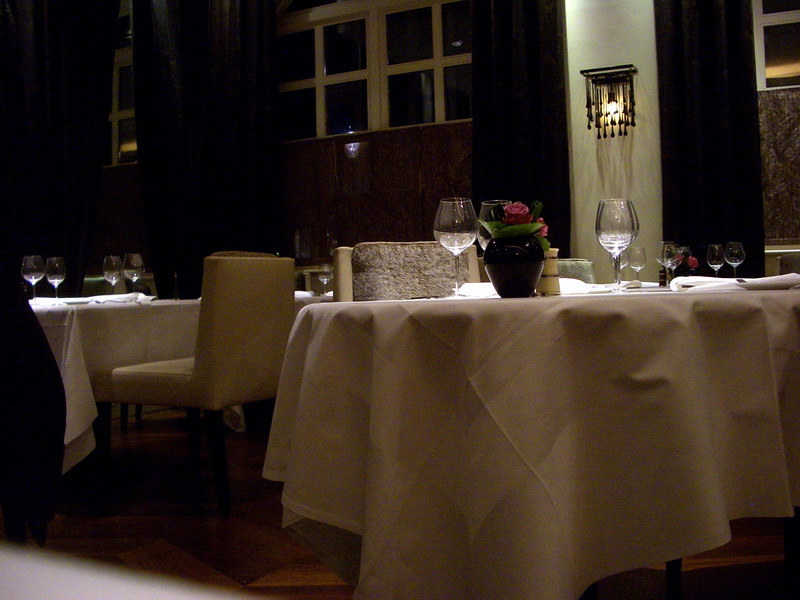 My last meal at the Ledbury was back in January, the day after New Year’s Day to be exact. The kitchen was working on a limited menu and they were very upfront with the fact that this was because of restrictions to supplies at that time of the year. Nevertheless, it was a very solid meal and it was nice to see Brett cooking in his own kitchen during the holidays, a refreshing change in this day and age when many chefs are much more interested in showing up on TV than they are maintaining the high standards in their own kitchen. For this meal, Kang of Londoneater had kindly gone to the trouble of booking us a table which these days are booked solid two months in advance. You can read his take of our meal here. Gone are the days of individually priced items during lunch. These days the cheapest menu available for lunch is a 4 course set lunch menu priced at £50. 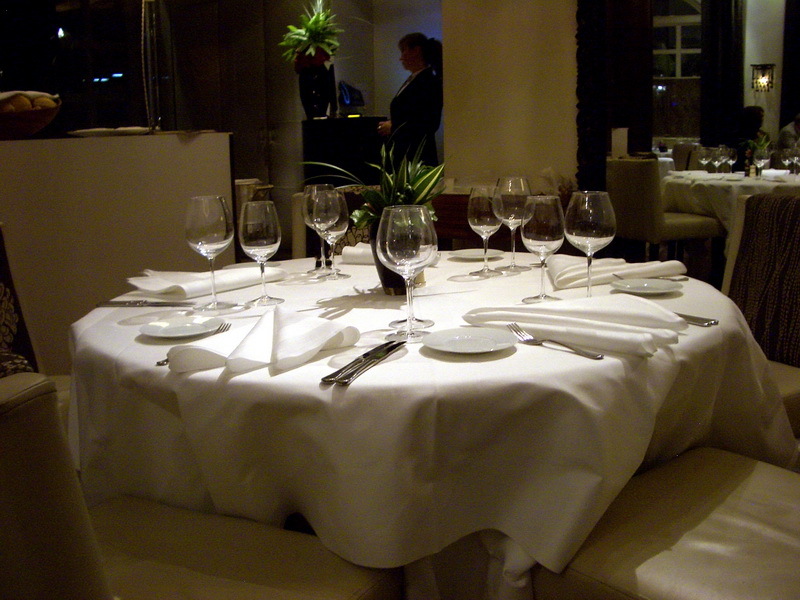 Alternatively there is a pared down a la carte menu priced at £85 for 4 courses. This is essentially the same as the dinner a la carte menu except for a few choices omitted probably due to time constraints for mise en place. 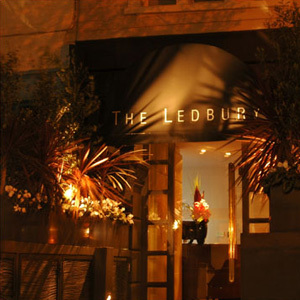 For the full Ledbury experience there is of course their full tasting menu at £115 for 8 courses. In our case, we left the menu in Brett’s hands and he was kind enough to throw in a few extras. ‘Repeat visit’ week sees me travelling north west and braving the dastardly perils of the Hammersmith and sh*tty line to once again dine at the Ledbury. I must admit that were not for the ridiculous trek to get to the restaurant, I would definitely visit more frequently. You see, I, like many people like Brett Graham’s gutsy, no-holds barred cooking – his adventurous use of flavours and his sure-handedness at cooking game. Case in point, the restaurant was packed to the brim for dinner on a Sunday night. Das Wunderkind Brett Graham’s career as a chef started off with the humblest of origins. At the age of 15, he took his first step to becoming a chef by… polishing glasses at a local restaurant in Newcastle, Australia. He soon moved on to a seafood restaurant where he was in charge of preparing fish. Not cooking mind you, but scaling, gutting and all kinds of menial labour befitting one his age. Graham soon moved on to work at Banc, a French restaurant where he developed his repertoire in classical cooking under Liam Tomlin. His talent was obvious and he soon won the Josephine Pignolet Award (an award for young chef of the year) in 1999. This game him an opportunity to brighten his horizons – an opportunity he grabbed immediately by moving to London and landing a job under Phil Howard at the Square. As was the case down under, Graham was quickly awarded the title of ‘Young Chef of the Year’ by Restaurant Associations in 2003. His rise was quick and meteoric and by 2005, he was appointed sous chef at the Square. Then, one day, Howard along with famed restaurateur Nigel-Platt’s Martin approached him with the opportunity to lead his own kitchen. 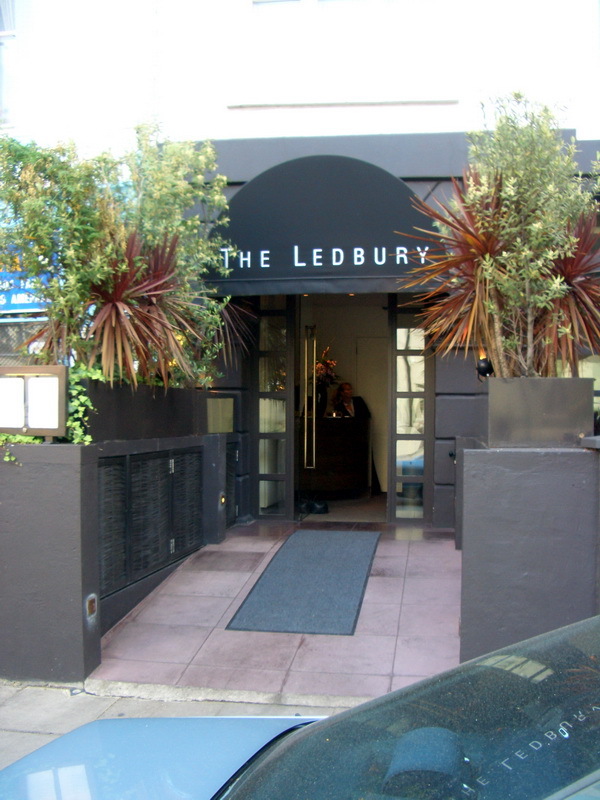 Henceforth, the Ledbury was born. Within a year of opening, Graham won his 1st Michelin star and int he recent 2009 guide, he has been tipped for his second star (espoir). Ah! Autumn… my favourite season of all. Not only the beautiful sights of brown leaves carpeting the local park. Nor is it the fact that the weather is just right – not the sweltering heat of summer or the icy-dagger of winter… well bar the occasional rain (but then this IS London after all). No, autumn is my favourite season of them all because it is the season of game, apples and wild mushrooms of all shapes and sizes. As such, the advent of autumn had me searching for the best autumn had to offer – grouse, fresh porcini and the some yummy English apples. 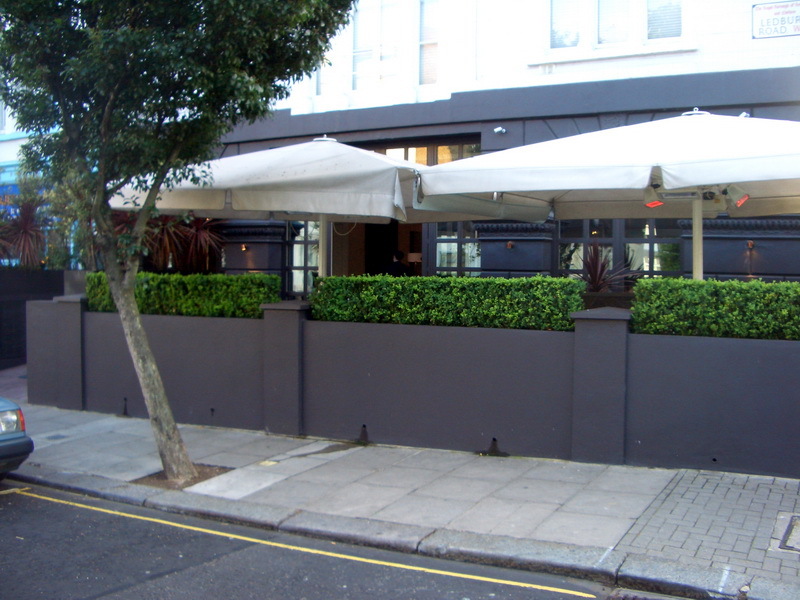 The Ledbury is a One Michelin star restaurant located at Notting Hill. The area is certainly not associated with fine dining or haute cuisine. Indeed, the restaurant is an area which not so long ago was synonymous with drug dealing. The Ledbury is the sister restaurant of the (more expensive) Two Michelin Star restaurant, The Square (which is also on my to try list). The head chef here, Brett Graham, hails from Newcastle, Australia and is touted by many in the food circle to be one of the rising stars to watch. The restaurant’s deco is contemporary with the waiters smartly dressed in all black instead of the traditional dinner jackets. There is also a small outside dining area should weather prove to be favourable.